As our technology advances, it’s bringing improvements to an array of everyday activities. But what happens when a cloud-based AI takes over the bar at your local airport? “John downloads the app,” their promotional video concludes, “and is pleased to find that the bartender also accepts cryptocurrencies.” And unlike a human bartender, the whole system can be compressed into a one-ton, 20-foot tall storage container for shipping. But to its makers, Yanu is serious business. 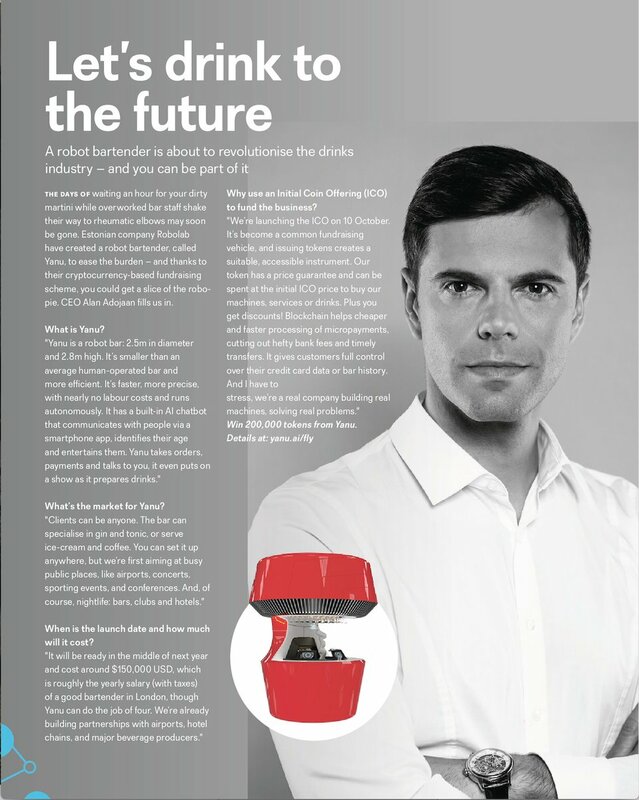 Robolab already has formed partnerships with five airports in Europe and two different beverage companies. While global air traffic continues to grow, an online white paper points out that “many airports generate a much higher proportion of their income from concession activities than from aeronautical operations” — so they obviously have an interest in optimizing revenue. Adojaan told one in-flight magazine that the robo-bartender will be ready in the middle of 2019, and will cost around $150,000 a year “which is roughly the yearly salary (with taxes) of a good bartender in London,” even though Yanu can do the work of four bartenders. These assertions provoked some pushback from actual bartenders, leading Adojaan to clarify on Medium that he meant Yanu’s cost equaled the salary of two bartenders. RoboLab already has a functioning minimal viable product, according to an October blog post by Adojaan. 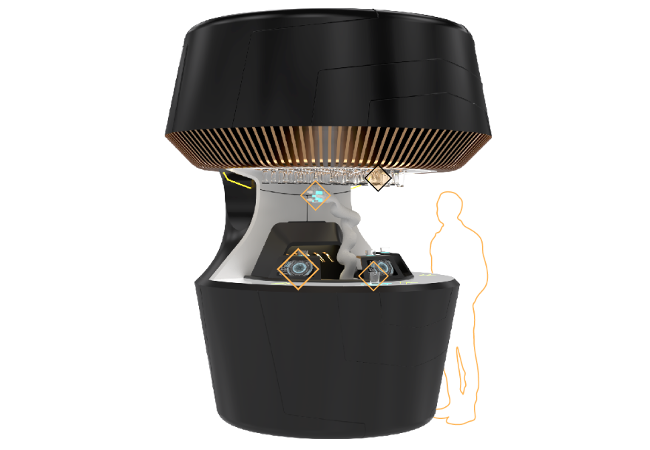 Earlier this year Robolab raised $650,000 in seed funding from a private Estonian fund, then raised over $1 million more in its first week of ICO pre-sale, “mostly during the private sale,” according to an October blog post by Adojaan. Pre-sale and public sale continues through December 12, and combined with further venture capital, the company hopes to raise over $10 million. A roadmap in the white paper promises that after their public token sale, the company will establish (and “optimize”) the technical infrastructure for producing the Yanu units, with the first robot bartenders installed in airports in the third quarter of 2019. And by 2020, the roadmap calls for Yanu to have a “flagship venue” in a major city. Adojaan seems untroubled. “There will always be nice bars, with friendly bartenders, who take time to talk to people,” he told Digital Trends.